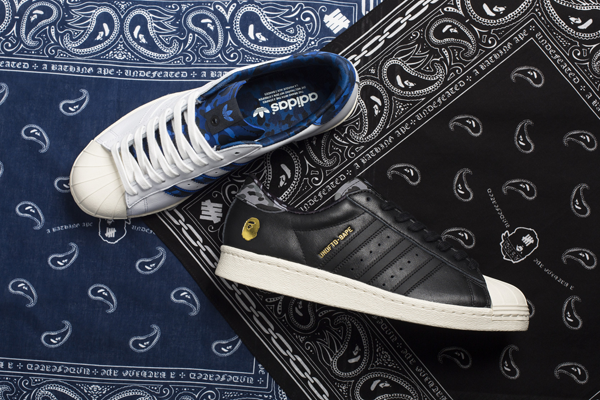 Two years ago, adidas Originals, UNDEFEATED (UNDFTD) and A BATHING APE® (BAPE®) launched their first collaboration for the Consortium series causing excitement in the sneaker communities around the globe. 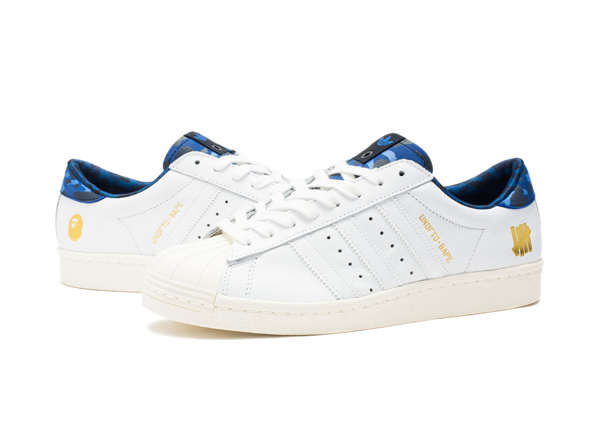 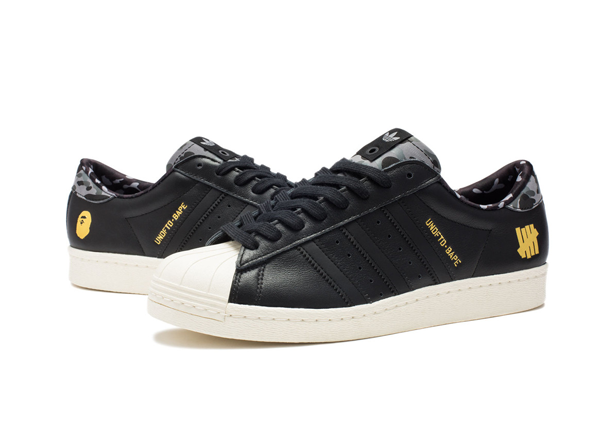 As a follow up to the previous ZX 5000 and Campus 80s, the Superstar 80v is the next iconic silhouette re-interpreted by the two streetwear powerhouses for 2015. 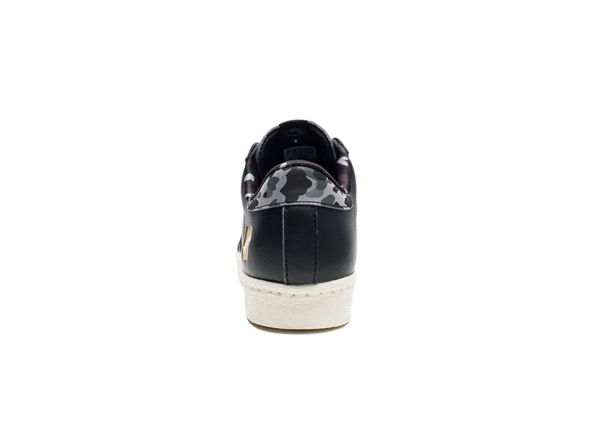 In-line with both brands’ design languages the result is a masterful balance between the subtle and the expressive. 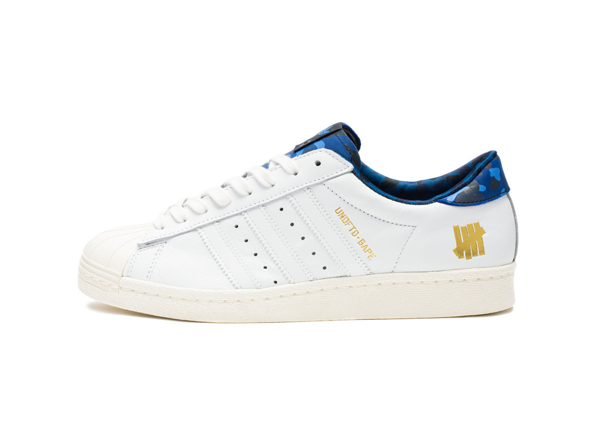 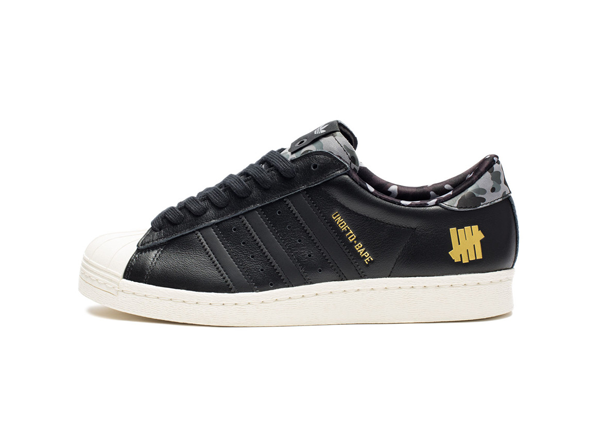 At first sight the uppers of the either black or white Superstar seem plain, with only little hints at the collaboration – golden embossings of the UNDEFEATED / BAPE® brand names and logos – at second sight, heel tab, tongue, lining and – most prominently – the inner three stripes reveal BAPE®’s iconic camouflage pattern as the key design detail. 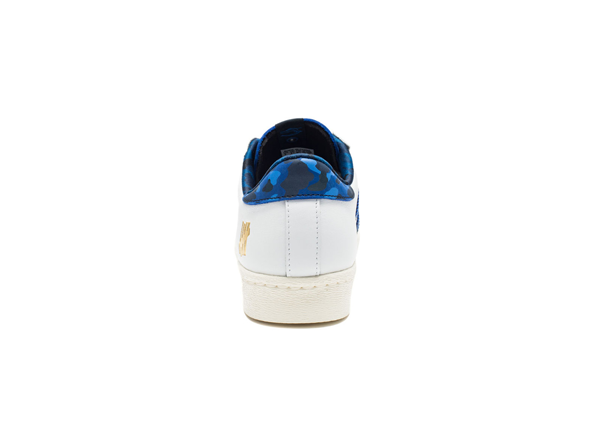 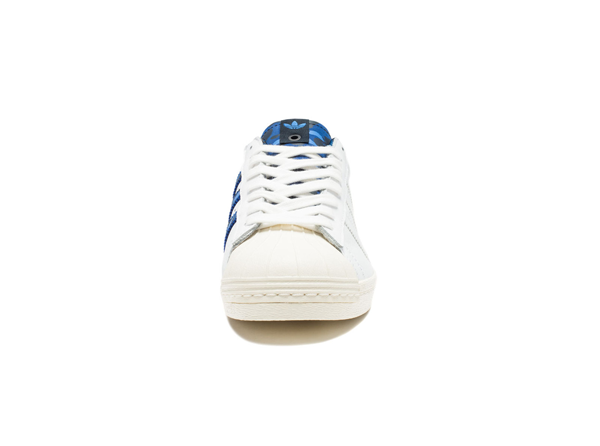 Produced in premium soft leather, the crisp white version is executed with a camouflage in shades of blue, while the black edition features a greyscale pattern.